A Michael Kors continental wallet crafted in logo stamped PVC with gold-tone hardware. 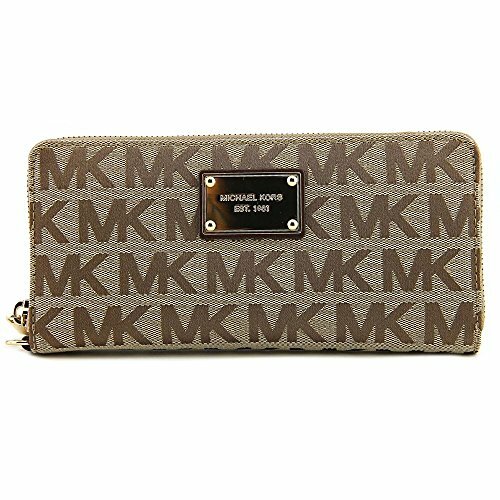 This Michael Kors wallet features 2 billfold pockets, 1 slip pocket, 1 zip coin pocket, 10 credit card pockets, and 1 ID window. Dimensions: 8.5" x 4" x 1.25". Wrist strap drop: 7".